Metadata in publishing is all information about a book: it includes author, title, description, keywords and much more. Ebook metadata input is not only important to keep distributors happy, but is a powerful tool to improve sales. PublishDrive has teamed up with a publishing metadata expert, Zsofia Dedinszky who has kindly agreed to share her extensive knowledge and experience with us. 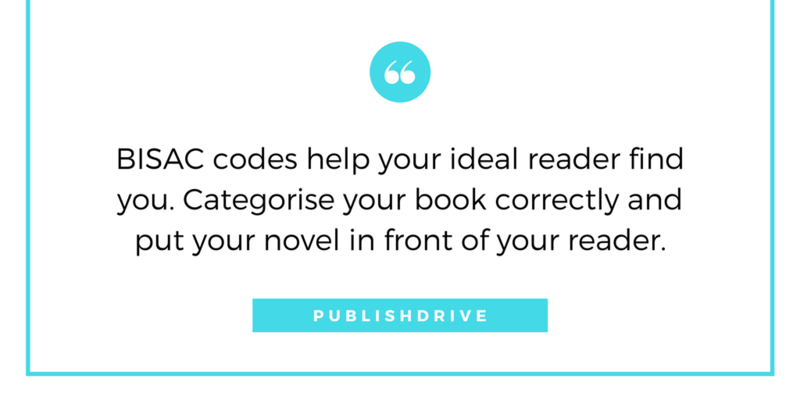 This article is the third in a series: we talk about best practices for selecting the correct BISAC codes and putting the book in the right category on Amazon. There are many ways of classifying a book. Most countries have their own traditionally preferred methods, many using separate systems for libraries and stores. But why is classification important at all? The classification system decides where your book will appear in the stores. Everybody understands the importance of knowing where to look for a book in a brick-and-mortar store. You either immediately go to the cookbooks in the basement or to the language books on the third floor: a misplaced book has little chance of ever being found. It is exactly the same for ebooks. Unless somebody knows exactly what they are looking for and is searching for your name or title, they’ll browse through a category, looking for something they might find interesting. Most ebook stores let you place your book in three categories. So, you have three chances of finding your ideal reader and putting your book in front of them. If I were you, I would take this seriously. Just as importantly, a badly classified book can be highly disappointing to readers. If somebody is expecting to read a paranormal shifting romance but gets a psychological thriller instead, they are understandably unhappy. They might leave a negative review on your otherwise amazing book. In the following, we’ll write about BISAC (the most common classification system), and about the importance of selecting the correct category for your book. Metadata in publishing is all information about a book: it includes author, title, description, keywords and much more. Smart metadata input is not only important to keep distributors happy, but is a powerful tool to improve sales. PublishDrive has teamed up with a publishing metadata expert, Zsofia Dedinszky who has kindly agreed to share her extensive knowledge and experience with us. This article is the second in a series: we talk about best practices regarding author’s name, title, subtitle and series fields. The first article about metadata in general and most important metadata guidelines is available here. In the following, we’re going to go through the most important metadata fields and collect best practices. It is best to decide your author name before you start publishing. There are no pros and cons for using a pen name, except if you are writing non-fiction in a topic you are considered an expert in. Please make sure that your pen name is not in any way misleading to readers: don’t call yourself Dr. John Smith, if you are not a doctor. Once you have the name, Google it, and run an Amazon book search. Make sure that nobody else uses that name – or nobody in a similar genre, at least. Even little modifications will do the trick: if you’d like to write under the name of John Smith, but it is already taken, try John W. Smith. The key is in consistency: if you are called JW Smith in the metadata of one book, John W. Smith for the next and John William Smith for the third, your books won’t be grouped together by stores or under your author profile. Metadata – data about data – in publishing is all information about a book. It includes the author(s), title, description, keywords and much more. While every book has metadata, we only seem to be talking about it when something goes wrong. For example, when a book is validating a distributor’s metadata guidelines. However, the sheer existence of book metadata guidelines is a proof that smart metadata input is not only important to keep distributors happy. It is a powerful tool to improve sales. PublishDrive has teamed up with a publishing metadata expert, Zsofia Dedinszky. She has kindly agreed to share her extensive knowledge and experience with us. This article is the first in our series Metadata Magic. In the series, we talk about metadata do’s and don’ts; explore some ideas on how to improve sales with better book metadata management; and explain how to enter or edit metadata within your book using Sigil. As we have said before, metadata is information that describes a book. It includes author, title, subtitle, description, series information, language, categories, keywords, reviews and price. Derived metadata can also include sales information and rankings. In the book industry, metadata is often stored in systems and is batch-managed. Methods of batch-management can be an Excel sheet or an Onix provider, for example). But for small and indie authors, batch management is not very important. However, entering metadata correctly when uploading your book to a platform (eg. to Amazon or to PublishDrive), and storing metadata within your epub is crucial.